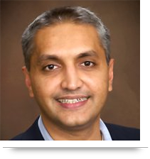 Achieving success as an IT business cannot be done alone. Trusted partnerships and relationships are paramount in fueling the success of your business. When it comes to vendor selection, a mutually beneficial relationship can advance the goals for both parties. However, a poor vendor selection can backfire and create a destructive environment. AllianceTek recently experienced first-hand the harmful repercussions of a wrong vendor selection. While it created a difficult situation, it did allow us to gain some valuable insight about working with vendors that we would like to pass along. As per the demand of our project, we approached a new vendor who was surprised to assist us with a client. Our initial mistake here was not clearly describing the roles each party would have in the project. While the vendor’s role was to assist us, they gradually started overpowering us in their role in the project while leaving us out of the loop. The vendor took over the client completely, dishing out big promises and creating unrealistic expectations. The lack of communication and cooperation from the vendor’s side was deeply troublesome and forecast a gloomy outlook for the project. As the project progressed promises began to break and expectations were stretched. The client started expressing concerns and had a lot of questions. At a crucial point, instead of resolving these issues, the vendor started backing out. After a flurry of excuses they eventually decided the time they should spend on the project was over and started demanding payment. They then stopped attending meetings altogether. On the contrary, the vendor was supposed to assist throughout the project. So who should be responsible for the fallout from this toxic situation? AllianceTek’s policy is to strive to provide end-to-end solutions and support until our clients are completely satisfied. So even though we were not pleased with the vendor, AllianceTek decided to take complete responsibility for rectifying the situation. We went back to the drawing board and offered a number of supportive measures that the client would need in order to streamline the process. While this was a costly endeavor on our end, it did sustain the project and keep our client pleased. Despite dealing with a difficult situation, AllianceTek gained some value from the experience by learning some valuable lessons. The first is that one must have a basic agreement with vendors that outlines roles and responsibilities. This agreement must be understood and signed by the vendor before any work has begun. If a beneficial relationship is not established early on then it becomes too difficult to replace a vendor halfway through the project. Vendor shall always be introduced to client as ‘Your Company’s’ team member and not as an individual or individual company. Vendor will require attending all calls/meetings scheduled and determined by ‘Your Company’ and/or the client. Vendor must do all required communication to the client through ‘Your Company’s’ email id provided to them. All such mails should be c.c. to ‘Your Company’. In case of any communication through direct phone calls and/or direct meetings, it will be informed to ‘Your Company’ prior to such calls/meetings without fail. Vendor must use ‘Your Company’s’ project management system. It will be vendor’s responsibilities to get all required approval from the client for all tasks/work that has been allocated and falls in vendor’s scope of work. When it comes to change requests, it will be vendor’s responsibilities to get them approved by client and ‘Your Company’. Vendor will be paid on project bases and as per payment terms decided by ‘Your Company’. Payment will be made to Vendor by ‘Your Company’ on receipt of payment from the client for task/work allocated and falls in vendor’s scope of work. Vendor will not work with and for client directly for the period of 2 years on any assignment/projects/work. In case of the client or ‘Your Company’ find quality and administration of work unsatisfactory, ‘Your Company’ has rights to discontinue working with the vendor with immediate effect and without making any further payment. The vendor will require signing and abiding the Non-disclosure agreement of ‘Your Company’ /Client. 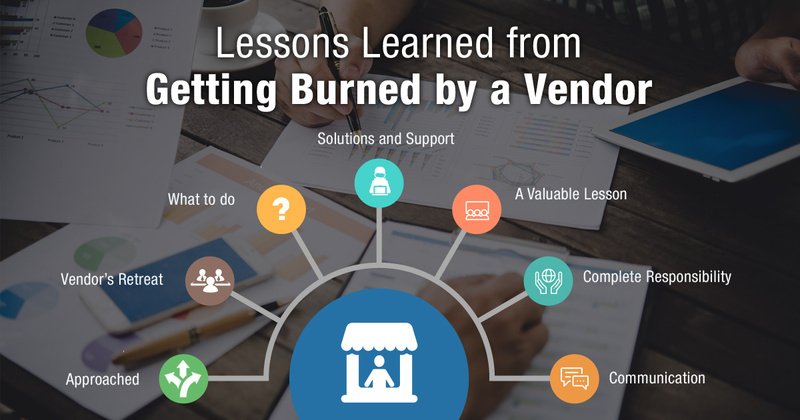 Call us at 484-892-5713 or Contact Us today to learn more about lessons learned from getting burned by a vendor. Is your software development vendor vanishing? Selecting a vendor in IT business can be tricky. Due diligence should be practiced while selecting a vendor so that it does not backfire. AllianceTek shares valuable insight on selecting a vendor based on a bitter first-hand experience. It is highly recommended to have a vendor agreement duly signed by the vendor before commencing the work.